Helping to create a parkrun event in my hometown has been incredibly rewarding. parkrun makes amazing contributions to health and happiness, but it has struggled to gain traction in the US. These are some thoughts on what it takes. parkrun is the world’s largest running event, with over 150,000 participants every week. It is huge in the UK and a few other countries, but it is almost unknown in the US. We often hear people ask why parkrun hasn’t taken off here, or why isn’t there a parkrun in [insert favorite city name here]. 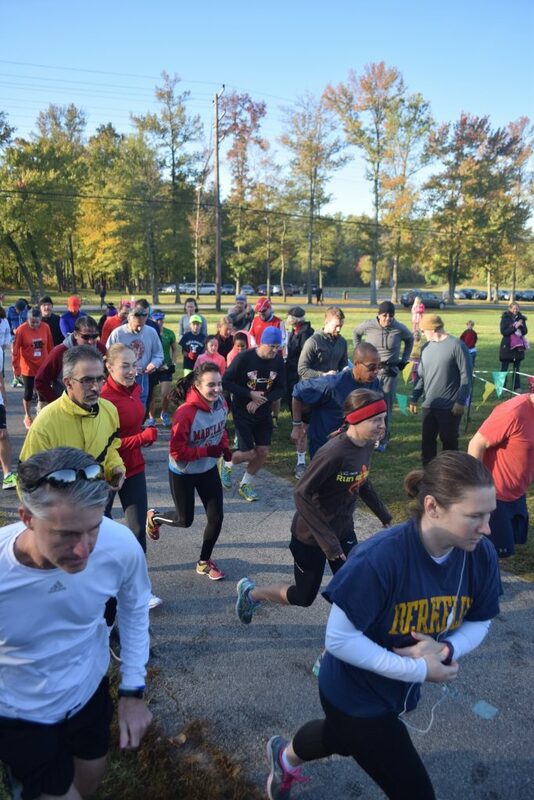 I recently helped Andrea Zukowski, my wife, to launch College Park parkrun, the 7th US parkrun. Andrea is our tireless leader and Event Director. I’m her meddlesome sidekick and one of the run directors. We have learned many things over the past year about what it takes to get a parkrun started in the US. These thoughts are not officially sanctioned by parkrun, nor are they intended as a step-by-step guide. Apologies for the length, but did you think that creating a sustainable cost-free weekly run would be trivial? We first learned about parkrun on trips to visit my family in the UK. I’m a lifelong competitive jerk runner and Andrea had started running from scratch only a few months earlier. We come from totally different backgrounds. But we were both charmed by the simplicity and spirit of parkruns. They are timed 5k runs held in hundreds of locations around the world every Saturday morning. There is no entry fee and no registration, so you just show up. There are no prizes, t-shirts or swag, and parkruns are entirely volunteer-run. Some parkrunners are fast, but the focus is on welcoming everybody, regardless of age, shape, or speed. A central organization provides the infrastructure that makes it possible for each volunteer team to put on the same event 52 times per year. In our experience, there are three key ingredients for a parkrun: venue, team, and community. They don’t all need to be perfect, but they all contribute to the success of your event. A good venue helps to ensure that people show up, and want to keep coming back week after week. Lots of different ingredients go into a good parkrun venue. First, parkrun has some basic requirements for routes. If the route crosses a public road or includes steps, then the route won’t be approved. This is ultimately a good thing, as it eliminates the need for police support, and it reduces your volunteer needs. But it could easily rule out some of your favorite running routes. For us, it ruled out our favorite start location. If your route is scenic, then that certainly doesn’t hurt. 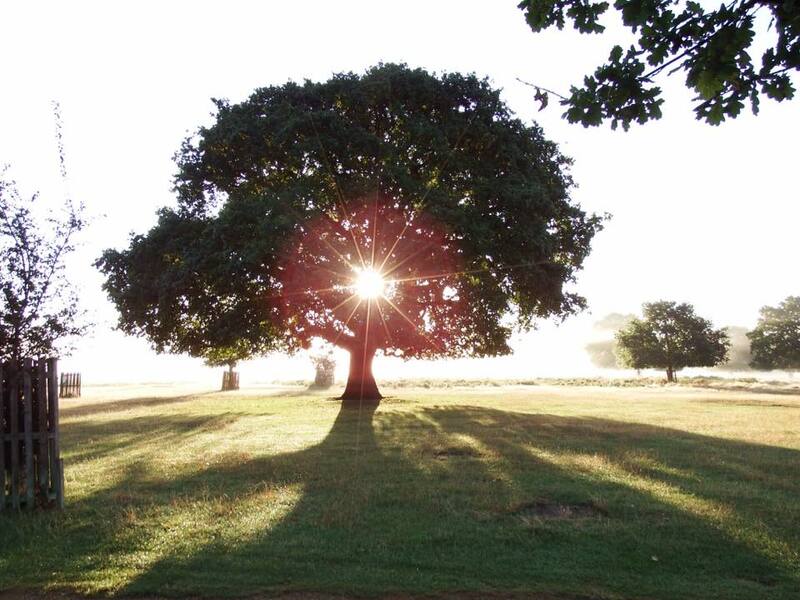 The original parkrun in Bushy Park, London is serenely beautiful, and some of our US parkruns have dramatic settings, such as the Golden Gate Bridge backdrop for Crissy Field parkrun or the middle-of-the-Potomac location for Roosevelt Island parkrun. But there are plenty of less famous parks that show off your hometown’s beauty. Accessibility is important. Is your course close to where people live? Is it reachable without a car (by public transportation, on foot, or by bike)? That is not a deal breaker, but it is a challenge for many US venues. Is there ample parking close to the route, preferably free? In College Park we have a great network of bike trails, and one stretch of trail fit these constraints better than any others. In our case, it was also important that the route be within walking distance for University of Maryland students. Not only because it’s a large source of potential participants, but also because it would align our parkrun with local efforts to bring the city and university communities closer. Contributing to your supporters’ goals helps a lot. Climate and year-round use are a greater challenge in the US than in parkrun’s home in the UK, where the seasons kind of blend into one. If your course is lovely in the summer but floods in the winter, then that is not so good. If you have hot summers, then shade can be a real plus. If you are snow-bound for 3 months, your course might still be runnable, or it might not. Our Washington DC summers can get very hot and humid, so we’re happy that our route is mostly shaded. It is a plus if there are bathrooms near your start/finish, though not a requirement. In our case, the bathrooms are open in the warmer months but not the colder months. We will just have to deal with that. The post-run coffee is a standard feature of parkruns that I didn’t get at first. 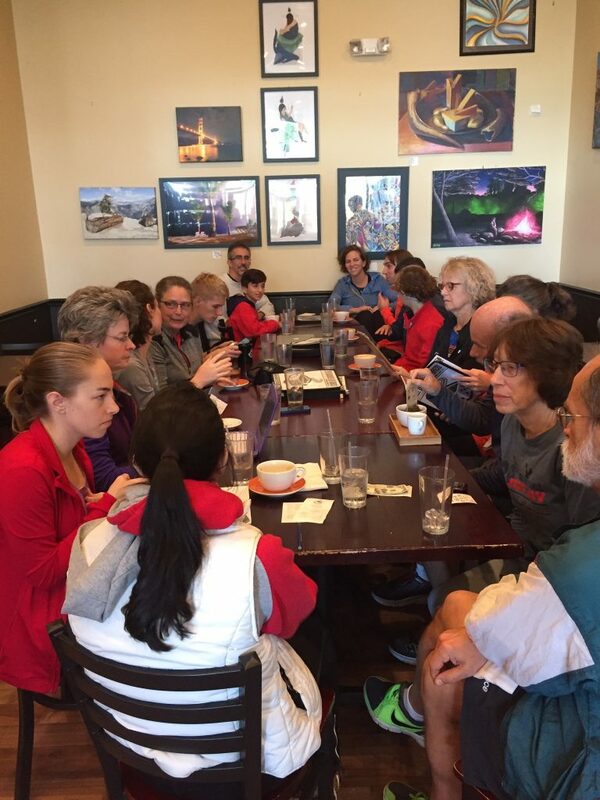 Post-run meetups are encouraged as a way of building community beyond running. And it can really work. It isn’t feasible for all parkruns, but if people stick around and talk after the event, it adds to the enjoyment, and creates a stronger connection with the event. We’re fortunate to have an excellent (and large) independent coffee + board games place just a short walk from our start line. Many parkrun teams also use the post-run meetup to process the results, sort finisher tokens, etc., which has the nice side effect of reminding people about volunteer roles. You can have the best course in a perfect location, but that’s no use if you can’t get permits and insurance. This has been a big hurdle for existing parkrun USA events, as event teams were largely on their own. Insurance should now be easier, as parkrun USA (a volunteer group) has arranged for insurance that can apply to all events. But the permits are still an issue between you and the relevant authority, which could be anything from your municipality to the National Parks Service. You’ll be asking for a permit to hold an event every week of the year, and to pay them zero dollars for the honor. They may be accustomed to selling permits to local one-off races, and so this could sound like a crazy request. They will not have heard of parkrun, and likely won’t care that it is a huge thing in faraway countries. Here is where it can be really valuable to lay the groundwork first, building support from local officials or existing partners of your park before you ask for the permit. You don’t want to be denied initially and then try to get that decision reversed. In our case, Andrea got excellent advice from our district councilwoman, who helped to make the case for parkrun, and recommended that we approach the parks department as potential partners who we could help to advance one of their goals, i.e., free, accessible fitness activities. However much you #loveparkrun you cannot put on a weekly event by yourself. Your event’s success depends on the core team of volunteers that you assemble to build the event and take on major roles such as run director. parkrun is not an event management company, and they don’t target locations for new events (this is a common misconception). Instead, they support communities that want to do this for themselves. parkrun’s goal is to have an event “in every community that wants one”. At first I didn’t understand the importance of that wording, but now I get it. Your parkrun may be your brainchild and your passion. But it needs to belong to the community, not to you. The more that you can do to foster a sense of shared ownership, the better you will succeed. Diversity in your core team members helps. This covers diversity in age, gender, ethnicity, and also in running background. Diversity will help you to engage with different groups in your community. It also reduces the risk of your event being canceled because everybody has the same competing commitment. In our case it helped a lot that Andrea and I come from very different running backgrounds. Each of us can relate better to different potential parkrunners. But it was less ideal that we are close in age and have similar social circles. Having a student on our core team has helped a lot, as it connects us to a different community. All of our initial core team of volunteers came from people who had come to some of our 33 practice events. It can be daunting to build a diverse team (“Hi – you don’t know me, but I’m starting this event that will take place every week, indefinitely, and I’d like you to help me with it!”). We stumbled across the fact that regular practice runs are a great way to start building a team. After attending the inaugural Fletcher’s Cove parkrun in January 2016 we immediately started holding unofficial 5k runs every Saturday on our proposed course. We created a Facebook page (“Let’s bring parkrun to College Park”) that later morphed into our official Facebook page. We had weekly post-run meetups at our coffee shop. And we built up an email list of potentially interested runners. We continued this for 33 events before our official launch (I wonder if this is a record for parkrun). The events were not big – we never had more than about a dozen runners, and sometimes we thought we might be the only ones out there (this also meant that we were small enough to not require a permit). We had no timing, no marshals, and we fudged the distance so that we could use an existing trail marker as a turnaround point. But we slowly built a group of people who saw the potential of parkrun, and who were happy to join us for a run and a coffee on a Saturday morning. We learned that we were genuinely happy to make this a part of our weekly schedule. And we were able to show concrete participation to back up our requests for support from the community and local officials. We never expected that it would take so long to launch officially, and we were sometimes frustrated, but we benefited a lot, and we would recommend others to try this approach. Your parkrun community consists of your parkrunners, your funders, your supporters and advocates, and your pipeline of future volunteers. The stronger this community is, the more successful your parkrun will be. Without parkrunners you don’t have a parkrun. (Parkrunners are similar to runners, except that they might not actually consider themselves to be runners, and they might mostly walk.) So you need people to want to show up. In the UK parkrun is so well established that you can probably get a strong turnout without doing anything special. That’s not the case in the US. More on this below. A couple of the US parkruns attract large numbers of parkrun tourists from the UK, Australia and elsewhere, e.g., Disney visitors go to Clermont Waterfront parkrun, and lots of tourists can be found at Crissy Field parkrun in San Francisco. The tourists are great, but they’re less a part of the community that will allow you to sustain the event with volunteers, etc. Our parkrun is more like Livonia parkrun in Michigan or Durham parkrun in North Carolina, the very first US parkruns, which draw few tourists. All parkrun events are free to participants, forever. But this is only possible because of the startup funding that all teams are expected to come up with. Fundraising isn’t everybody’s favorite activity, and we would have liked it if somebody had just cut us a $5000 check. But there’s value in the more time-consuming approach where you get partial funding from multiple sources. We raised funds from a mix of crowd-funding (via a generosity.com campaign), our city council, a local community foundation, the University of Maryland’s Recreation and Wellness department, and a couple of neighborhood associations. Andrea spent a lot of time talking to small groups about parkrun, and at some points she felt like she was hitting dead ends and getting nowhere. I wrote a few small grant applications. But Andrea gradually found her way to people who could point us in the right direction, and as a result we now have multiple stakeholders in the community who feel invested in our parkrun. They are also helping to promote our parkrun, and they are able to reach people who we cannot reach ourselves. The fundraising can seem daunting at first, but if you have a good concept and you are building a team and community support, then raising the money shouldn’t be the hardest part of creating a parkrun. This may even be an area where the US context is easier than the UK. The supporters and advocates that you build in your community are a major asset for your event. They can help you to reach participants, raise funds, or resolve a permit problem. To build this support you need to understand their goals, and how parkrun can advance those goals. And, you also need to just show up. Andrea has taken part in many different community events, sometimes feeling that she has met hardly anybody. But these have led to some of our most valuable community connections. We have benefited greatly from parkrun enthusiasts and ambassadors. 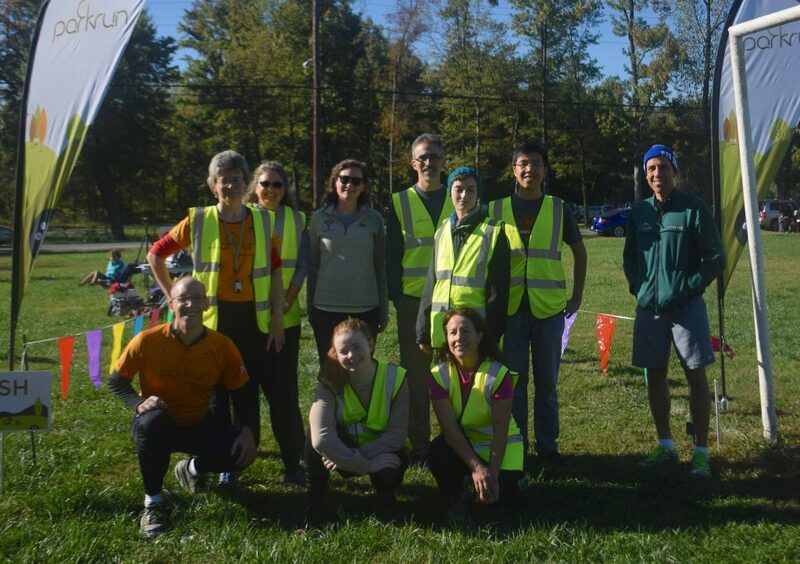 Our parkrun was the third to launch in the Washington DC area in 2016, and the leaders of the existing DC parkruns have been our primary mentors. We also benefited throughout the process from the support of our UK-based “parkrun ambassador”, James Kemp, who has been the official face of the organization. The dedication of these volunteer ambassadors is inspiring. What’s different about the US? People from countries where parkrun is already huge often ask why it hasn’t taken off in the US. I don’t have a definitive answer, and I hope that it’s just a matter of time. But there are a few differences that might be relevant. Almost nobody has heard of parkrun. Success in the UK, Australia, Poland etc. carries almost zero weight in most of the US. So parkrun teams are essentially starting from scratch. We’re hoping that this will become easier in our region now that there are 3 parkruns in the DC area, but time will tell. Society is more diverse in the US. This impacts the word-of-mouth transmission that has worked so well in other countries. And some communities are more close knit than others. The US running scene already offers many choices for less competitive runners. There are countless local events organized by community groups that reach a wide range of running abilities. Many of them are 5Ks. The UK running scene is more geared towards competitive runners, leaving more of a gap for parkrun to fill. Saturday mornings may be more crowded in the US. I’ve read that parkrun’s founders chose the 9am start time to avoid conflicts with traditional races, which typically start later in the UK. 9am does not count as early in the US (though our student clientele may beg to differ). We’ve heard from many people who would like to join us but have conflicts with earlier runs, kids’ sports, classes, etc. The November Project has some parallels with parkrun, and it has been quite successful in US cities, at least among a specific demographic. They tend to meet at 6am or earlier. Permits and insurance have been especially challenging in the US, due to the US’s notoriously litigious society. (The insurance part may be easier now, thanks to the efforts of parkrun USA.) Some of the most attractive venues are under the control of organizations that do not (yet) see the benefits of parkrun. The UK has a lot of well-placed parks in densely populated and accessible areas — thank the Victorians and the Downton Abbey crowd for that. The urban geography is more challenging in some US cities. Also, the country is so large that ideas spread more slowly between regions. The US has a more varied climate throughout the year. Running events are often compressed into specific seasons. So a year-round event like parkrun is more of an anomaly in many parts of the country. This also creates opportunities for US events. We don’t yet have a signature success in the US, like Bushy parkrun in the UK, that can inspire other events. Bushy parkrun was a lone event for 3 years and was attracting a few hundred runners per week before it spawned new events. parkrun USA has not yet reached that point. The central parkrun infrastructure in the UK is impressive for a shoestring operation that now serves 1000 weekly events around the world. They do an amazing job of delivering a consistent, replicable product at low cost. But that makes it harder to adjust the model to local cultural settings. parkrun has thrived in countries with close ties to the UK. The US speaks the same language, but it’s different in many other ways, and it’s a huge market to break into. There could be other factors that are relevant, or parkrun may be about to explode in the US. Thoughts? Please use the comments below. parkrun wiki – if you really want to geek out about how parkruns work, this is your place to dig around. Not always easy to find what you need, and some of it UK-centric, but if you enjoy this stuff, then parkrun needs you. parkrun: more than just a run in the park – this 2014 book by Debra Bourne is an easy read, and you can get the e-book immediately. I learned a lot about how parkrun came to be. A trip east – from the parkrun Canada blog, about efforts in late 2016 to grow parkruns in eastern Canada. It emphasizes the importance of working with teams of local enthusiasts. Setting up a parkrun – a 2012 post from a UK parkrunner. Some things are UK specific, but the nuts and bolts aren’t so far distant from how things work in the US. The formation of parkrun in 2004 was a great idea and it has grown continuously since with more and more events being started as the word is spread through out or the world. We have an enthusiastic dedicated ambassador for the USA in James Kemp who holds down a full time job in the UK. Thanks Brian – yes, James Kemp does a wonderful job as parkrun USA ambassador. He was a great help to us as we were going through a long gestation period. Better yet, he has helped to create ambassadors on the ground in the US who are working hard for parkrun. We’ve benefited a huge amount from them. I agree that success breeds success, though I think that home-grown success is extra valuable. parkrun USA events are currently all run by people who were inspired by successes that they saw abroad. A turning point will be if/when there are home-grown events that are so successful that they inspire others to create something similar for their own community. This is likely to take a little while. That is a great article Colin. Thank you for writing it. Having run at Bushy Park and Fletcher’s Cove, I really enjoy meeting and greeting other parkrun enthusiasts at and away from my home course of Livonia, MI. Thank you for your analysis of the USA parkrun issues. The early struggles of former Country Manager Rick Brauer to spread parkrun from Livonia throughout the USA could be the subject of its own book. I am looking forward to running our newest in Mansfield, OH in the next month or two. And I should be back in the D.C. area sometime this year. I will look forward to the spread of parkrun throughout the USA. Thanks Tim. We enjoyed visiting Livonia in August. My 82-year old mother-in-law joined us for the parkrun. We’re planning a pilgrimage to Mansfield OH for their inaugural. Looking forward to meeting you at a parkrun in the near future. We’re excited for the possibilities ahead. Interesting article, and I wish your parkrun all success. I was involved with the start of a parkrun (Scotland’s most beautiful one, though others did the hard work of putting it together) and may be helping out with another. One thing in the UK is that parkruns seed other parkruns – people may travel to other towns to run (I was travelling 30 miles) and think “I’d like a parkrun where I am”. Some people have been involved in multiple startups. For parkrun USA to take off, runs may need to reach out to the next town, and the town beyond that, to draw people in. It will be interesting to see if having three runs relatively close together and providing a choice will weave a net which will then spread. Good luck! Thanks, David. All indications so far are that clustering of parkruns does help here. It’s something we’re doing more deliberately at parkrun USA now. Now a few months in, we’ve seen that it creates great mutual support for event teams. It magnifies the visibility of the individual events. It creates the notion that creating new events is a thing. Around here there are now 2-3 additional events in the works, and we’ve been approached about the possibility of creating more. And a few parkrunners do move between events. I was recently at the launch of Mansfield, Ohio parkrun, where I met Lynn Boven of Livonia parkrun, almost certainly the most prolific US parkrunner. With Mansfield just a 3-hour drive from Livonia, it was the first time that he had another parkrun less than 10 hours drive away. Locality helps. Our parkrun community is growing, and we’re very encouraged by the level of interest and people who come back. We’re still minnows by UK standards, but all signs are positive. As someone relatively new to the parkrun scene (35 runs to my name) I’ve wondered why it wasn’t more popular in the US. Thankyou for shedding some light on that. I’m not sure you hold the record for the most number of unofficial events as there is a town 2 hrs from me that has been holding events for 2 years trying to get their event approved by the local authorities. It’s a challenge! And that’s in a country that has currently 204 weekly events and growing. I don’t know of any Australian events that start as late as 9am, most are a 7 or an 8am start. parkrun USA is still an early-stage experiment. But signs are encouraging. Just today we set our 3rd attendance record for the country in the past 4 weekends. Though number are still minuscule relative to some countries. The runaway success in places like the UK and Australia can make it seem inevitable, but our experience is that it is anything but inevitable. Somebody from our county parks authority visited our parkrun for the first time today, and had an interesting comment: “You really need to see it in person to understand what is special about it.” There’s something to that. As a recent permanent resident of the US from the U.K. I am very surprised at the lack of Parkrun. I live in Norman Oklahoma around 25 miles from OKC. I have done 197 Parkruns and would like OKC to take it on board although after making enquiries it would appear the city wants $250 event fee for any type of event. There is even a USATF certified enclosed road course in Stars and Stripes park! Let’s face it, Parkrun is not a race but an organized time trial, for everyone of all abilities. Authorities need to loosen up all over the US and be on the side of public participation health and welfare. I hear you, Brian, and we’ve heard similar stories elsewhere. But things are headed in a positive direction, overall. The US communities that are embracing parkrun most warmly are less well known and more motivated to increase parks usage. Locales that are currently more reluctant will hopefully be more receptive once the value to US communities is more established. And even in the places where US parkruns are getting established, it has required carefully planned engagement with the parks authorities. As we build more home-grown success stories, it will get easier and easier. Things are already much further along than they were just a year ago. Many new events in the pipeline, and new records almost every week. I’d recommend to join the “parkrun USA group” on Facebook to learn about the things that are happening.